The cold and snow of Central New York are of little concern to Rob Zettler. After all, Zettler, coach of the Syracuse Crunch hockey team, hails from Sept-Îles, Quebec, and has had skates on his feet for most of his 45 years. Team Zettler: Shannon, Robert, Laney and Emma and Rob Zettler gather in the War Memorial for a photo. Zettler’s love for the game kept growing. He had a successful run at the junior level with the Sault Ste. Marie Greyhounds. By 1986, he made it to the National Hockey League, signing with the Minnesota North Stars. Zettler, a defenseman, enjoyed a 14-year run in the NHL, finishing his playing career with the Washington Capitals in 2002. Veteran players: “Things go a lot smoother with good team leadership. That helps the younger players evolve,” Zettler says. Coaching, Zettler says, was a logical next step. He was named an assistant coach with the San Jose Sharks just months after ending his playing career. He has also worked with the Toronto Maple Leafs, a team he played on from 1995 to 1998. 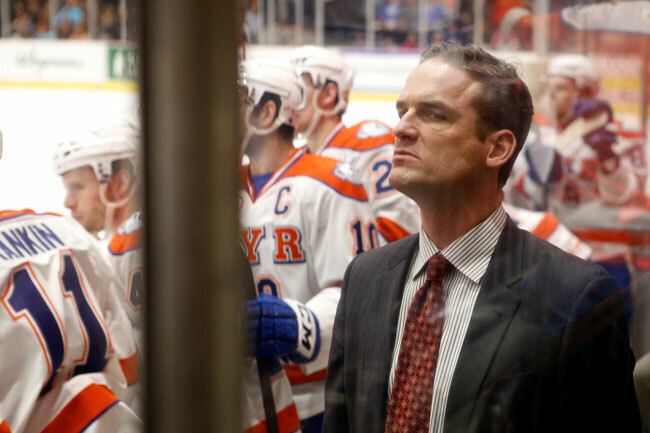 Zettler was hired by the Tampa Bay Lightning—the parent organization of the Syracuse Crunch—in 2012. After one season as an assistant, Zettler was named head coach of the Crunch in March 2013. While Quebec will always be home, Zettler’s career has taken him to various regions of the United States and Canada. One day, during his time with San Jose, Zettler went into a store to buy a shirt and tie, and met his future wife, Shannon—a California native. The couple have been married for more than 20 years, and Zettler considers her his most important teammate. 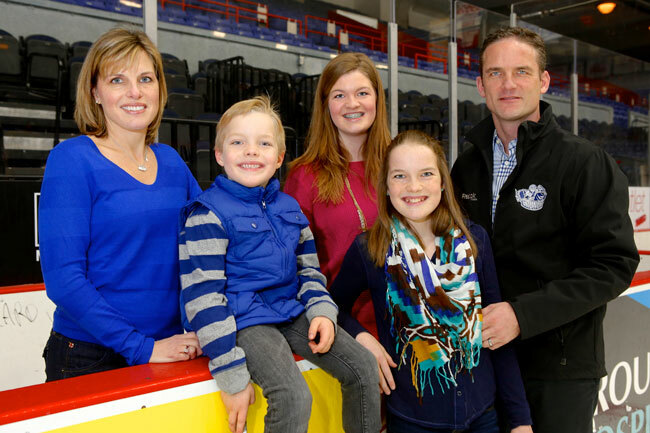 Zettler admits that juggling family life with coaching is a challenge during the playing season. “There’s really no downtime; we’re doing something every day. But I really try to get home for dinner on practice days.” The off season is all about family. The Zettlers head to California every summer to reconnect with Shannon’s family, recharge, and soak up some sun. The move to Syracuse has helped Zettler’s career. He arrived last year during what was arguably one the most exciting hockey seasons in Crunch history; Zettler helped lead the team to division and conference championships. The team lost in the Calder Cup finals, but Zettler was impressed by the level of support fans showed. And the team is fired up to do even better this season. While the goals for the Crunch and other teams in the AHL are—primarily—to win and to develop players for the NHL teams, Zettler says he has enjoyed, and will continue to encourage, the relationship the team has with the Syracuse community. Crunch players are affiliated with everything from Toys for Tots and the Hillside Family of Agencies to Autism Speaks. In his role as coach, Zettler believes he has an opportunity to give back to the game. As a player, he developed a strong sense of organization and structure, which has been an important element of his coaching style. No matter what sport a child is into, Zettler advises parents to resist the urge to push. He has seen enough natural athletes to know that the motivation to succeed comes from within.